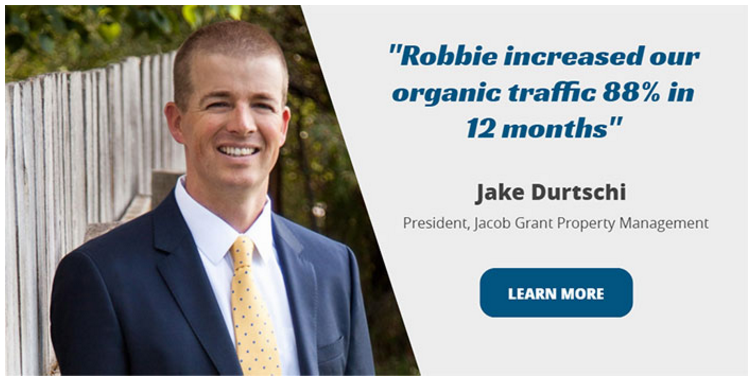 Digital marketers often opt for organic traffic rather than paid advertising, thinking that organic traffic is a subtler strategy. While it’s true that organic search results are good because it becomes more valuable over time and is technically free, you shouldn’t dismiss the benefits of paid search. Paid ads may not be cost effective for some, but if your business is targeting clients who have the intent to purchase, Pay Per Click (PPC) ads are the way to go because it has a better chance of conversion. Around 60% of users who are looking to buy products or services click on PPC ads because they find it most relevant—and chances are they weren’t even aware that they clicked on an ad. A PPC ad should direct the user to an optimized landing page, and not your website’s homepage because its purpose is to get a user to take action. The intention should never be to make them sift through your website to find what they need. Not all users have the tolerance and time for that, and this can ruin your chances at converting that prospect. When one landing page focuses on just one ad set, you can see and understand how each one is affecting your landing page conversions, which you cannot do when you have multiple ads sets pointing at the same landing page. Each should have their own set of metrics, which can be compared to other advertisements and landing pages. This will allow you to extrapolate data easily. A landing page should answer your prospect’s concerns. Understand your business’ Unique Selling Proposition (USP) and promote that on the page so that visitors will eventually go down the conversion funnel. This goal should reflect on the page, so you should align all the elements on the page into achieving that. No one likes being deceived or “click baited,” so make sure that your copy is consistent with the products and services you’re offering. Something as simple as relevant information can help you reach a high Quality Score, or the keyword relevancy score of an ad campaign. The easiest way to do this is by keeping the ad headline the same as the landing page’s headline. If the copy for PPC ad is different from what’s on the landing page, visitors might not stay long leave due to inconsistency. It’s not wise to create one-size-fits-all content because it lacks the personal approach that customers look for. Come up with two or three personas when writing content and deciding on imagery so that you can easily match the tone of your target audience. When each landing page is customized for a specific audience set, your message will be more relevant and you’ll maximize your chances of conversion. Imagery should help communicate what’s on the page, its benefits, and what the visitor can get out of it. Research shows that people respond to human imagery the best, so it might be a good idea to avoid stock images. However, don’t put in too many photos as this may confuse users and redirect the attention away from the content. You may also use detailed interactive product photos to increase attention and drive users to read more information about it. All images should be compressed, so avoid ultra high-resolution pictures because they’ll increase loading times. Headlines are important because they’re the first thing people read on the landing page, so make sure that aside from being useful, it includes a keyword that connects it to the ad. Typically, the exact keyword on the ad should not be used, but you can group keywords into themes and create the headlines based on that. Address the problems of the user and provide a solution. One simple click on your CTA button brings a prospect closer to conversion. Avoid using vague words, as the CTA should convey what the visitor will get after clicking it. Express clearly what they will get by using words that specify the offer they’re taking advantage of. Make sure that the CTA reflects your overall tone and style. You can also design the page in a way that it draws attention to the CTA. If the user is having a hard time believing your copy, then maybe they can take another’s word for it. Add testimonials, media coverage, and social proof to boost your credibility with prospects and build your brand reputation. Word of mouth is compelling, so you can also put in reviews and even number of downloads to get prospects over the line. Case studies are also effective because previous customers who have successfully used your products can help convince new users. There’s nothing wrong with wanting to achieve aesthetically pleasing designs, but there are those who overdo it. Clarity of message is still priority compared to an eye-catching image, so keep distractions at bay. An uncluttered, easy-to-navigate landing page is more than enough. If you’re using a fantastic photo that’s severely reducing your loading time, then there’s really no point of it being there. A survey about online behavior found that most people expect a page to load within two seconds—that’s how long you only have to convince a visitor to stay. Both short and long landing pages have advantages and disadvantages, but ultimately, both types should create a high converting page for you. Consider the following points when deciding which one to do. The easiest way to optimize your landing page is to be generous in using keywords related to your product or service. You’ve already set up keywords based on your search campaign and ad group themes, so refer back to those and ensure that you have all angles covered. Don’t forget to use your keyword on both the headline and content. It’s also a good idea to have an engaging landing page. Measure page engagement by checking Bounce Rate, Average Time on Page, and other engagement metrics. Testing your landing pages ensures maximum ROI and better conversion rates. You can do testing in two ways: A/B and Multivariate. The former lets you test two different pages against one another, while the latter tests multiple elements on a page against each other in various combinations to find the best one to use. When making any permanent changes, make sure that the test has helped you develop statistical significance to back up your hypothesis. With millions of people browsing on mobile, it’s a mistake not to create landing pages that are mobile-friendly. When you do PPC ads, consider that traffic can come from mobile devices as well. By neglecting mobile, you are limiting the success of the campaign, and you may not be getting the best ROI. Track the performance of your landing pages with Google Analytics and make any strategic decisions or changes to your conversion rate optimization based on data. This will require a goal for the CTA (like a destination page, duration, or form submission). Then track the visits to a thank-you page URL or the number of clicks of a button. An effective PPC landing page is critically important for any effective SEM plan. They perform the same essential function as regular SEO landing pages, but certain elements make them different from one another. The most notable would have to be that SEO landing pages are optimized to win organic search results, while PPC is, as mentioned, paid advertisement. Just because you’re paying for your page to show up on top doesn’t mean you can neglect the elements of your landing page. Remember that you need the user to be engaged from the headline down to the CTA. Follow these best practices in creating a well-optimized PPC landing page, and act on any improvements that you need to do based on its performance.